How does a virtual private server compare? What’s the Difference Between Shared, VPS and dedicated hosting?  Zolé offers VPS hosting. Below is a comparison of the three types. A shared account is the most basic web hosting account. The benefit of a shared account is that it is cheaper than “VPS” or Dedicated accounts. Using housing as an analogy: A shared web hosting account is like renting a room in a house. You have your own, small private space (your room) and you share major facilities like the kitchen, living room and bathroom. In hosting terms, your private room is your home directory – no one else can put their stuff in your home directory. It is yours alone. However, you share major server resources with other customers, such as CPU, RAM (memory,) network connectivity, and some software packages. As with renting a room in a house with other people, you are subject to each other’s doings in the server. Because everyone is sharing the main resources, there may be times when two roommates are competing for the same resource at the same time. In website terms, one or more websites may be using a lot of resources which can slow things down on the server in general. Email is shared on one IP address so if anyone on the server spams there is a high probability the IP address will land on a blacklist and every website on the server will be blacklisted. Less ability to customize. Just as landlords have rules about painting living rooms bright turquoise, shared servers have rules about what “tenants” are allowed and not allowed to do. A VPS is like renting an apartment in a building. Unlike renting a room and sharing major facilities, having an apartment gives a person much more freedom. In an apartment, you have your own bathroom, kitchen and living spaces that are devoted entirely to you. In a VPS environment, these equate to disk space, operating system, and RAM. However, you still share some resources with the rest of the building, including the building structure itself (the parent server,) the water system (network) and electricity. Email is unlikely to get blacklisted because all users are Zolé clients and are not spammers! A Dedicated server is a physical server with hardware that is exclusively for your use. Thus, the housing analogy: A Dedicated server is like having your own house. There are no other customers on your hardware, no one else competing for your resources. It’s just your website.